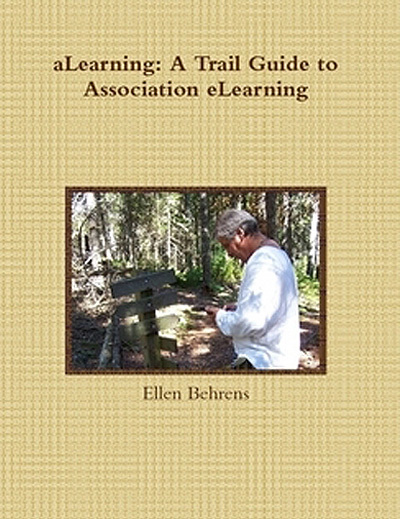 Does your association cultivate learning? Sure it does. Or at least, we all think our associations are creating the right environment for continued professional education and training. But how well have you defined what you need to do and be in order to accomplish that? Not to worry! The folks at SIGNATURE i have articulated a model that’s worthy of adaption. Take a look at their blog for nine clear goals you, too, can adopt and live by. All are important, but note especially #3 — something I’ve been preaching a long time! SIGNATURE i suggests giving your organization until 2020 to reach this ideal state. What do you think? Is the vision reasonable? Which goals have you already attained? Which are harder than the others? Why? — How will you know you have attained the goals? — What measures do you have — or will put — in place to verify your success or identify your weak spots? — How will you transform a list of goals into a workable, verifiable plan for implementation? Seems to me that SIGNATURE i could go a step further with their model — or you could. Some time ago I wrote about the value of maturity models (click here for an elearning maturity model I created). Why not fashion a maturity model based on these nine goals so an association can determine whether it’s in an early, adolescent, or mature stage? A maturity model would help an organization determine its baseline — its starting point. When you can look back to see where you started, you’ll know whether you made any progress at all and — if so, get an idea of how far you’ve come and how far you still have to go. Otherwise, how will you know when you get there?